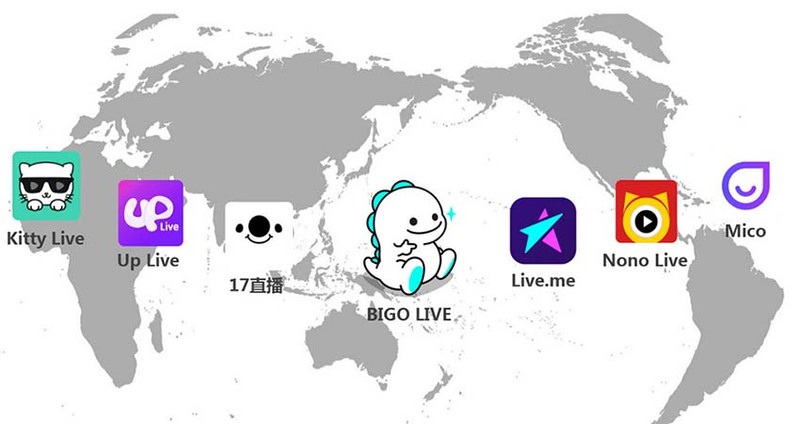 The live-streaming product, BIGO LIVE, is designed exclusively for overseas users by US-listed YY. After the ups and downs, live-streaming products take the spotlight once again. Currently, the leading live-streaming platforms such as Huya, Douyu TV, Huajiao Live Video, Inke, etc. have announced their IPO plans successively. Meanwhile, the live-streaming products which target at oversea markets also attract much attention from all around. Among the list, there are popular US live broadcasting platform Live.me and Southeast Asia live-streaming platform Bigo Live. Registered in Singapore, the company behind Bigo Live is Bigo Technology Pte., Ltd, but its real driver is YY Inc., the parent company of live-streaming platform YY Live and game streaming platform Huya. Li Xueling, the CEO of YY Inc. is also the CEO of Bigo Live, and it is obvious that this live-streaming platform is designed specifically for the overseas market. Previously, Bigo launched its business as a provider of free phone service. It wasn’t until March 2016 that the company initiated Bigo Live, a live-streaming platform targeted at users aged 18 to 25. Although the Internet ecology development in Southeast Asia is two to three years later than that in China, it is already witnessing fierce competition. Moreover, Chinese live-streaming platforms have flocked to the Southeast Asia market. Though under adverse situations, Bigo Live managed to gain an advantage in just two years. On March 12, Chinese biztech media and also KrASIA parent company 36Kr was informed that Bigo Live had exceeded 200 million registered users and its monthly active users had reached 36.6 million. The user ratio of male to female is around 7:3, which is different from live.me with a nearly 1:1 ratio. The company claimed to turn a profi in October 2017 and earned a total revenue of $300 million that year. When it comes to capital, Bigo Live also shines. In March 2017, Bigo Live raised US$180 million Series C funding and reached an estimated valuation of over US$400 million. Bigo Live raised capital faster than its competitors, like Kitty LIVE, Live.me, Nono LIVE, Stager LIVE, etc. in its latest financing round. As for the next round of financing, Bigo Live’s director, James, told 36 Kr, “Needs have always been there.” Huya, a business unit of YY, has filed for an IPO. When it comes to the timing of the already highly profitable Bigo Live going public, James said, “it depends on Li’s arrangement.” But as for now, Bigo Live has made good preparation for that. As an outstanding player in the overseas market, its user base soared to 200 million in merely two years. James reckons that it is mainly attributed to its mature content model, localized innovation, and integration as well as traffic bonuses. 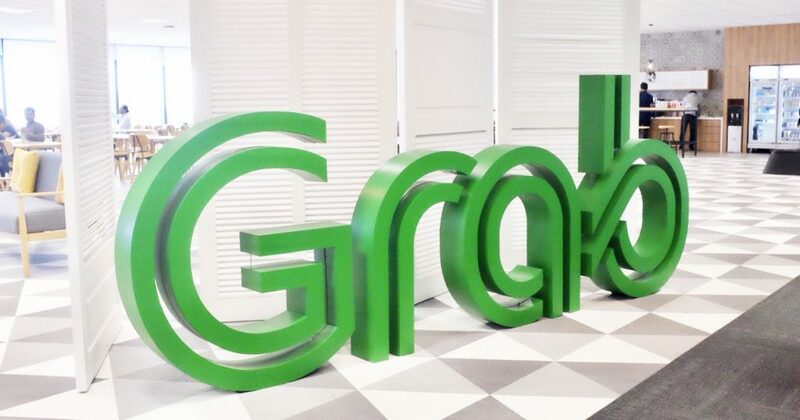 The Southeast Asia market has become fertile ground for many domestic start-ups as well as giants such as Tencent, Alibaba, Baidu, and Toutiao. In particular, Toutiao defines internationalization as key for this year.Live.me, invested by Toutiao, based in the United States, has covered 72 countries and regions around the world. Bigo Live, which covers more than 100 countries and regions, has 19 offices worldwide. Concerning whether Bigo Live will have a war with Toutiao or Live.me as the Southeast Asia market may not satisfy its ambition, James said, “in the short term, we have a different geographic layout from them”. However, he also predicted that the real competitor for Toutiao would be Facebook, as Mark Zuckerberg had been studying it for the past three years. Here is the conversation between KrASIA parent company 36Kr and Bigo Live’s director James. 36Kr: What was the Southeast Asia live-streaming like when you entered? James: The market already had some live-streaming products by the time we entered. If what we saw in the Chinese live-streaming market then was “a battle of 1,000 apps,” I guess you could say that the Southeast Asia market in 2016 was “a battle of several hundred”. We were not selling shoes in a place where no one wears shoes. In fact, the majority of people already have shoes. But since live-streaming is a “heavy-invested” business that requires investment in networks, operations and traffic, the number of players in the market started to decline with time. 36Kr: How did you manage to build a user base of 200 million from scratch? James: Bigo Live is not a utility product, it’s a pan-entertainment platform that provides users with a wide variety of content. Our product is a combination of Huya, YY, and Momo, which incorporates the features of game streaming, pan-entertainment streaming and stranger social networking. We had spent much time on groping our way out before settling on this model. A platform may resort to all sorts of tricks to quickly lure in users, but to retain them, it must offer content that appeals to them or make sure that they can meet like-minded people and form interest-based social circles on the platform. Additionally, the development of the mobile internet in Southeast and South, Asia was two to three years behind China, so we were able to take advantage of the booming mobile internet there. 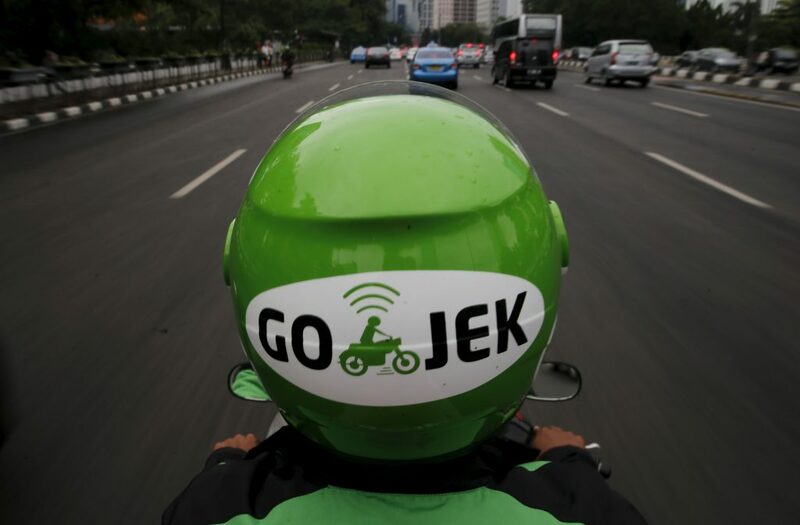 Back in 2016, the daily number of download of our app could reach up to 80,000 in Indonesia, of which only 20,000 were traffic we purchased, just one-third of our naturally acquired traffic. 36Kr: What did you do to localize the product? James: Although we had already developed YY, we had to start from scratch in a foreign market. The product became a success because we blended in with the local cultural and pan-entertainment industries. Countries differ from each other in areas like politics, culture, religions and economy. Localization will never be successful if you lack a thorough understanding of a country’s social groups, cultural trends and consumer habits. We came up with a dozen content models which could be broadly classified into five or six categories, and drawing on our experience in operating YY, we established an overall framework. We also built different traffic acquisition, user retention, content, and revenue models for different user types. Meanwhile, we adapted some of YY’s features for the local market and are launching the live trivia feature in different countries. 36Kr: In which countries is the live trivia feature available now? James: It’s available in Egypt, India, Indonesia, Brazil and Malaysia. Live trivia has a market in countries with a GDP per capita lower than $5,000. We plan to take it to Latin America in the near future. 36Kr: Could you give us an idea of Bigo Live’s user base? James: Well, our user base sees a male to female ratio of 7:3. From the standpoint of revenue generation, this indeed is a perfect ratio. That is to say, there’s still much to be done if we want to garner more than 10 million in DAU. 36Kr: What are the hurdles you have encountered during development? James: The hardest part is to build a model that’s fit for a specific country. Once the model is in place, the natural progression would be to create content to attract users. And the most joyful part is to see that your users are starting to spend increasingly more time and money on the platform. The Chinese internet firms aspiring to go global are generally faced with “Three Major Hurdles” that hold the potential to dent their development abroad. The first and second are the App Store and Google Play. An inevitable part for Chinese internet firms’ “Go Global” effort involves listing their apps on these two platforms, but that means ceding 30% of the revenue generated on these platforms to them. The third one is Facebook and Instagram, which serve as the source for almost 60% of traffic for all kinds of apps. James: Currently, our revenue or profit has been increasing steadily around 15% month-on-month. Our main revenue stream is not advertising, but tips from our users, which will remain as our main revenue source for a very long time. The game promotion also holds potential to generate huge amounts of revenue. Apart from that, we’re also starting to embrace cross-sector cooperation, cooperation with e-commerce platforms or other brands for example. 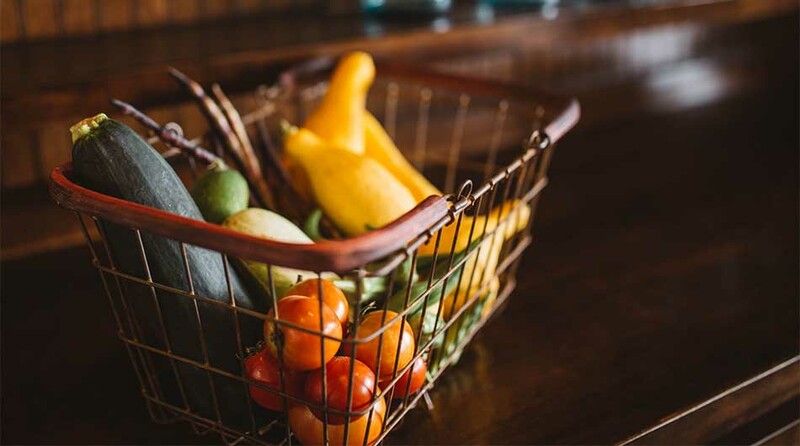 The supplementary streams, though, are mere additions to our revenue, it is unlikely that they are going to evolve into our main revenue source in the short run. What’s more, we also have a company named Bigo Entertainment in Singapore. It was introduced mainly with the aim of bridging the online entertainment business with the offline economy. We have done a lot in this aspect in Thailand. 36Kr: What do you think about the development of video game live-streaming? James: Video gaming in China represents a market worth nearly 150 billion yuan, of which the output value of video game live-streaming by Douyu.com, Huya.com, and Panda.tv altogether accounts for only less than 10 billion yuan. Given that video game live-streaming platforms now act as the main channel for game promotion, the fact that video game live-streaming only makes up 10 billion yuan out of the 150 billion yuan doesn’t seem to make sense. This actually is the main reason for Tencent’s to shell out several billions of US dollars to Huya.com and Douyu.com. Tencent’s investment also mirrors its competition with other game operators like NetEase over resources and channels. Overseas, video game live-streaming makes up a way larger proportion of the video gaming industry. So, it’s certain that video game live-streaming business in China will see a dramatic change in the coming one or two years. 36Kr: Will Bigo Live expand to cover other content? James: We have a plan for our content and operation. We started with live-streaming and could try to expand into short video streaming and game streaming. Bigo Live could add any features that work with the app and remove those that don’t. It’s a challenging but meaningful process for us. 36Kr: Will Bigo Live consider M&A in the future? James: Not companies in live-streaming. We have a dedicated team which does research on our counterparts. 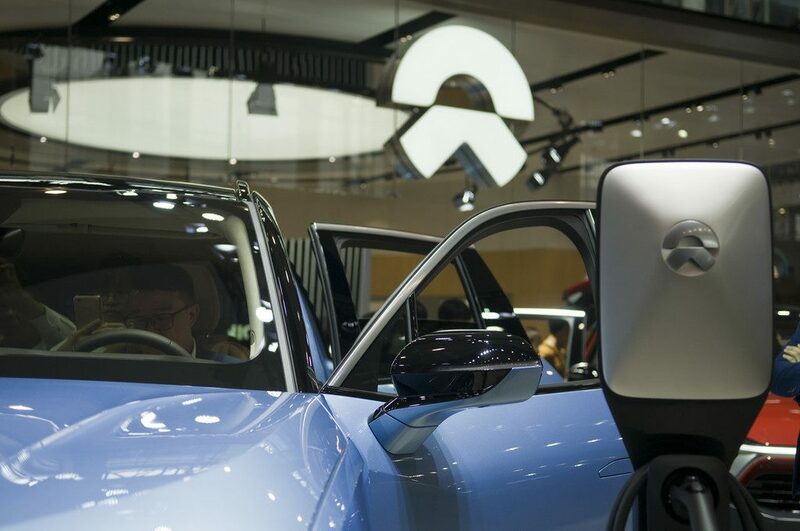 We found out that our fundamental strategies and business concept are the reasons why we are succeeding amid the competition with our rivals. Apart from companies in live-streaming, we may consider M&A of companies in content making and social networking. These companies could help us vertically integrate, as well as to increase our user base. 36Kr: Will Bigo Live seek another round of financing? James: Sure, either another round of financing or an IPO. Companies here in Southeast Asia can easily profit from the growth of user traffic and internet penetration rate. So we’d better raise as much money as possible to make the most out of the opportunities available now. We have good products and business model. 36Kr: Is there a plan for IPO? James: It’s up to LI Xueling. 36Kr: What is the top priority for Bigo Live in 2018? James: We need to establish our presence in countries whose GDP per capita is above US$20k and set up our viable business models there. We will then try to turn a profit and scale up our operations. The competition with the Chinese “BAT” triumvirate. 36Kr: What do you think of the future of live-streaming apps? James: There are two different paths for live-streaming products. The first approach is, for apps like China’s largest news aggregator Toutiao, to rely on AI-powered algorithms. Toutiao has outperformed many established Chinese news portals and news apps, even Tencent’s news app. Then is there any chance for a new app that is like Douyin, which saw its DAU increase by 70 million in a year, to emerge? That is hard to predict, we still can’t ignore the abovementioned three challenges, iOS App Store, Google Play and Facebook, especially when an app scales up its operations and influence. Apple, Google, and Facebook squeeze your profit margin and controls your user traffic. The competition is brutal in that sense, but many companies haven’t realized that because they are not large enough to encounter these problems yet. When the DAU of your app tops 100 million and your company is relying on advertisements for revenue, the competition with Google and Facebook is going to be fierce. 36Kr: Will Bigo Live compete with Toutiao? James：In short term, the answer is no. Toutiao has acquired many companies including US short video app Flipagram and lip-syncing platform Musical.ly. It has also invested in an Indian news aggregator Dailyhunt, as well as live broadcasting app Live.me. With all those efforts, Toutiao hasn’t started its live-streaming business in overseas markets and it’s still dealing with the merger of Musical.ly. The Chinese news giant has been doing quite well in Vietnam and Japan. 36Kr: But still, is Toutiao a prominent competitor? James: We are not competing with Toutiao, but maybe Facebook is. Mark Zuckerberg is said to have been paying attention to Toutiao for the past three years. Besides, our business models are different. We depend on users tipping broadcasters for revenue and seek to beef up our presence in the content market. Toutiao adopts a different approach and we target different markets. 36Kr: What is the future plan? James: We wants to scale up Bigo Live first. We need to have a large user base and a viable business model to make sure our platform has sustainable development. Based on that, we could develop an app matrix in the Middle East, India, and Bangladesh. If we can achieve that, we could establish our competitive edge in the market and turn a profit as we could develop a synergy between our apps. That is why we are not afraid of competing with the Chinese “BAT” triumvirate in overseas markets. They may be unbeatable in China, but they are a nobody in the overseas markets. Maybe they could invest heavily in us as they all have deep pockets. What Chinese tech giants need is not capital but good teams and products in overseas markets.